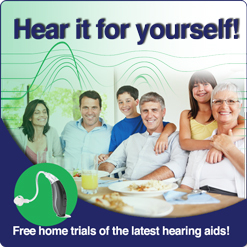 Hearing Loss can really take the joy of your life. There are myriad hearing devices at your disposal in the market and even more ways to prevent it from being caused in the first place. It is a misconception that hearing loss is caused due to accidents and aging, hence it cannot be prevented. Do you know that a proper diet and healthy lifestyle can help you in preventing hearing loss? So let's read how eating affects our hearing. You must make sure that your food contains anti-oxidants. This is the best treatment for hearing loss as antioxidants can reduce free radicals that can cause damage to the tissue of your ear drum. You can increase the intake of anti-oxidants by eating broccoli, beans, spinach, eggs, asparagus etc. The intake of supplements containing antioxidants reduce the risk of hearing loss by as much as 20%. Aging is another major cause of hearing loss, that can be prevented by increasing the intake of zinc. Zinc has garnered attention in yesteryears. A study shows that proper intake of zinc can prevent sudden hearing loss. Sensorineural hearing loss which is a sudden hearing loss is an inexplicable cause of hearing loss Zinc is commonly found in oysters and dark chocolates. So, now you have a viable reason to have more of them, but only if you are not suffering from diabetes and your doctor approves of them. If hearing devices annoy you, you better increase the intake of zinc. Vitamin C can do its fair share to prevent hearing loss. It is commonly found in oranges, cherries, papayas, tomatoes and cabbage. Low resistance to infections and slow healing of wounds are signs that your body needs more intake of vitamin c.
People spend a lot of money to get treatment for hearing loss and purchasing hearing devices . It can be avoided by eating a balanced diet and regular exercise. Doesn't it make it the best treatment for hearing loss. After all, we have grown up listening- Prevention is better than cure.